Here are some videos from last year’s birthday concert, one from each concert of the night. They are, in order from buttom up: Trinity playing my song Memories of lost love, A tribute to Kjell Öhman playing I’m walking and at the top, me Thomas Arnesen and Daniel Olsson playing the ending of Up and away. Enjoy! Last year I did a few concerts with Norweigan blues singer and guitarist Hans Bollandsås. One of them was at Trondheim’s jazz festival, on this date, May 8th. Recently I found this clip from this concert. A fun memory! Two years ago I was contacted by Elliot Elliot to record one of his songs for his upcoming album. 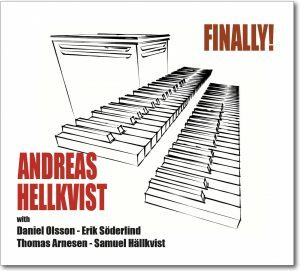 The recording was made in June the same year in a Stockholm studio. Me on Hammond B3 and drum legend Morgan Ågren on drums. However, it wasn’t until last Thursday that the album was released. The recording was also filmed and the video is now available on Youtube. So take a look and enjoy! Finally! is now available on Spotify and other digital distribution services. If out haven’t done so yet, check it out! Here’s another song from a concert last fall. Enjoy! About a year ago, guitarist Thomas Arnesen and singer Claes Janson decided to do a BB King tribute called King Of The Blues. We spent a day in April rehearsing in my studio and recorded some songs as well. Here’s one of them, Every day I have the blues. Enjoy! On Friday Oct 14th we crammed ourselves into the new cozy place of Hijazz, Uppsala. Here’s a video from that night. Enjoy! Guitar mania at the release concert! The finishing song of my release concert in May was 8 minutes I will never forget! I asked all of the guitar players on the record to join me on stage for Old Gal Blues, and here’s how it went. Enjoy! During this fall I’ll be playing the Hammond organ at the Royal Dramatic Theatre i Stockholm! 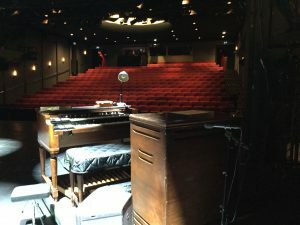 In this production of the Bergman play “Den goda viljan (The best Intentions)”, the Hammond B3 is placed on the stage and add a jazzy touch to the otherwise quite minimalistic setup of the play. The play also features some of Sweden’s finest actors so it’s really an honour to be a part of it. And come check it out!! Just put up a youtube clip from the Iceland tour. This one is from Kex Hostel in Reykjavik. Enjoy!